Flawed execution can lead to creating “friction” – customer experience failures that cause dissatisfaction and create opportunities for customers to abandon engagement. Most retail success stories of the past decade have been built around a singular focus on executing their clearly defined customer experience flawlessly. Retailers playing a “defence-as-offence” omnichannel strategy run the risk of distracting themselves from what will ultimately make them successful - a clear customer experience strategy executed profitably. This eBook is premium content available for free to our subscribers. To continue reading, tell us a bit more about yourself. Who Put the Omnichannel Cart Before the Customer Experience Horse? Me-Too Intent Drives Flawed Execution. Let Customer Experience Drive Omnichannel Investments. A Framework to Assess Omnichannel Impact & Profitability. “Omnichannel” is a misleading term. It is not an accurate representation of consumer behavior as such - consumers don’t think in terms of channels, they simply shop. It is also not an absolute end-state for retailers to achieve, for there isn’t (and shouldn’t be) a standard definition of what it means to be omnichannel. Omnichannel is best viewed as shorthand for the idea of change brick and mortar retailers must institute to revitalize their growth prospects by delivering a better customer experience to their target customers. It started off as a customer engagement and commerce concept – for retailers to have the ability to engage shoppers seamlessly across channels. As retailers realized this vision was further away than originally imagined, the focus shifted to a lower hanging fruit – exposing enterprise inventory to shoppers across channels. The prior vision now lives on in the form of a trendy new buzzword – Unified Commerce. Omnichannel on the other hand has become synonymous with a variety of customer experience “features” that offer consumers greater choice and flexibility in terms of shipping and delivery. Retailers, and the echo chamber surrounding them, took a fundamentally sound idea (the need for change) and built a belief structure (omnichannel basket of capabilities as the change) around it. There is no concrete evidence (yet) of omnichannel – in and of itself – being a sustainable growth strategy for retailers . In that sense, it has increasingly become a defensive strategy – one of competitive parity; one justified by the fear of loss rather than the vision of growth. 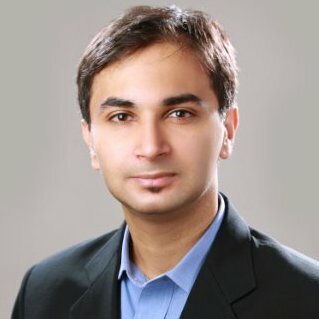 To the contrary, most retail success stories of the past decade have eschewed a singular, or even primary, focus on the basket of omnichannel capabilities, and instead made a stronger connection with their customers through a clearer definition and sharper execution of their customer experience. In the age of next-day deliveries, Zulily convinced shoppers to wait 10-14 days for shipping – focusing instead on offering them the thrill of discovery, a unique product selection and low prices. QVC bought them for $2.4B in 2015. While store closings reach historic highs, TJ Maxx has built a customer experience wherein ecommerce is supplementary (~1% of sales). You’re missing the point if you boil it down to consumer preference for off-price merchandise. Even as Best Buy “outsources” product knowledge to its suppliers by having them man shop-in-shops at its stores, Apple’s retail playbook would have a chapter dedicated to store associates as experts and customer advocates. When retailers invest in omnichannel for competitive parity, or when they do it without filtering selectively through the lens of their customer experience, we call it me-too omnichannel. Acquiring omnichannel capabilities without operational readiness is counter-productive, as are investments that either abandon the basic principles of retailing or do not align with the retailer’s overall customer experience. These may seem fairly obvious statements, however some of the smartest retailers have fallen prey to these sinister distractions. As experienced as Starbucks is at rolling out digital features (such as its mobile wallet) to its stores, its lack of operational readiness to support Mobile Order & Pay was evident soon after launch. 18 months in, an amazing 7% of all Starbucks orders are now via Mobile Order & Pay. Yet, clearly marked cubbies indicating pick-up points are only now being rolled out. With the store operations not optimized to support an increase in mobile orders during peak hours, not only must Starbucks contend with a potential increase in labor cost, but also with a long line of customers that has moved from the point of sale to the point of pick-up. Less than 3 years ago Macy’s was being hailed for its aggressive omnichannel investments. So aggressive in fact, that some – such as store inventory lookup – were launched half-baked. Further, so much of the focus seemed to be on just getting omnichannel features launched, they disregarded common sense retailing wisdom. A large part of the value of in-store pick-up for a department store lies in being able to upsell those customer visits (attachment rates). Macy’s put its online order pick-up area in a bland backroom in the basement of its Herald Square flagship store. Baffling. Forrester Research rated Sears #1 in its 2015 benchmark of 20 US and UK retailers. That’s a perfect example of the echo chamber’s inability to filter fact from hype. What has having some of the most advanced “omnichannel” capabilities done to Sears’ dwindling business prospects? Sears – once a shining example of retailing excellence – is now an abject lesson in why retailers must not abandon customer experience in pursuit of technology bells and whistles. As a consolation – at least curbside pick-up at Sears has the unintended benefit of not having to visit the store. Flawed execution can lead to creating “friction” – customer experience failures that cause dissatisfaction and create opportunities for customers to abandon engagement. Friction is counter-productive to the original goal and can be quantified in both tangible and intangible ways. Beyond flawed execution and how customers respond to friction in the customer experience, each omnichannel capability has a significant operational impact. Buy-Online Pick-up In-Store (BOPIS) Issue-Tree from Incisiv’s Library of Omnichannel Operational Use-Cases. This is a non exhaustive list that is meant to illustrate the depth of planning that needs to go before any feature/capability is deployed. Nordstrom – a retailer renowned for its in-store sales and service – invested approximately $820M over a period of 3 years (2014-2016) in digital and ecommerce. While ecommerce has risen from 8% of overall revenue to 20%, overall sales have remained largely flat. This, in part, means Nordstrom has effectively cannibalized its own (more profitable) store sales while increasing the complexity and cost of its business operations. There is no denying the dynamic shift in consumer behavior over the past decade that’s been driven by a new-normal economy, ubiquitous Internet connectivity, saturation level smartphone penetration, and the coming of age of a digitally native generation. The traditional, linear “Path to Purchase” is dead. What consumers value, how they shop, where they transact, what they expect – have all changed. Yet – not all consumers are alike. Not all “omnichannel” capabilities are valuable for all retailers in all contexts. The brass tacks of retail ultimately hold – serve a specific need of a segment of shoppers, and double down on your ability to do so better than anyone else. Let’s call that your customer experience. Let your customer experience drive what omnichannel investments make sense, and why. Primark doesn’t do ecommerce. TJX doesn’t offer in-store inventory look-up. Rather than take omnichannel as a belief – do this, or die– successful retailers focus on their customer experience first, and then on enabling capabilities that move the needle for that experience. The assault on traditional brick and mortar from newer business models (pureplay online, click-to-bricks, marketplaces, subscriptions etc.) doesn’t mean the component parts of their customer experience can be broken down and adopted en masse. It is shortsighted to simplify someone else’s advantage as “they don’t have legacy systems”, or “they don’t have stores”. Bonobos is about fit. Rent-the-Runway is about making aspirational fashion accessible. Depending on the relative maturity of a retailer’s existing investments in omnichannel, we recommend a 4-step process to assess and improve alignment with the customer experience, expected impact and sustainable profitability. Do all functions understand their role in delivering a positive customer experience? The mandate to retailers is clear – Invest in your customer experience, not in a “basket of capabilities”. Clearly define the expected ROI from any investments. Spell out the associated business process change required to succeed. Monitor results on a periodic basis and benchmark against expectation. Improve profitability of operations to ensure long-term viability. Learn from those that didn’t. Me-too omnichannel is not an effective transformation strategy. Focus on clarifying, amplifying and profitably executing a retail customer experience that your shoppers value. For qualified retail executives, we're offering a complimentary 30-minute briefing with Gaurav to discuss key insights from the eBook and other Incisiv research. Experience You Don't Want to Miss. Copyright ©2017 Incisiv inc. All Rights Reserved.